PCSAO released the 14th edition of its biennial Factbook March 29 as the House Finance Committee considers Governor Mike DeWine’s proposal to nearly double the state’s children services investment. The Factbook’s trend data reflect a system in serious crisis due in large part to Ohio’s drug epidemic. The Factbook also includes a breakdown of state and county statistics. Read more here , and review the Factbook online . Governor Mike DeWine and the Office of Criminal Justice Services announced the results of a human trafficking prevalence study completed by the University of Cincinnati that analyzed the extent to which youth and adults are exploited in Ohio. The study identified 1,032 juvenile human trafficking victims and 4,209 at-risk youth between 2014 and 2016. This report can be found on the website of the Ohio Human Trafficking Task Force . 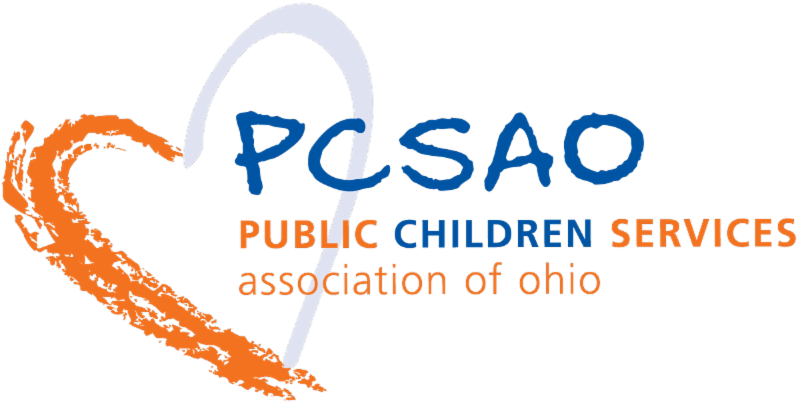 PCSAO and grant partners presented about human trafficking at the 39th annual conference of the Ohio Association of Child and Youth Care Professionals on March 21. PCSAO and grant partners also provided an all-day training to children services, juvenile justice, and allied professionals in Montgomery County on March 28. If your agency would like training on human trafficking, reach out to PCSAO’s anti-human trafficking coordinator, Bhumika Patel, bhumika@pcsao.org . The ODJFS FFPSA Leadership Committee met via webinar on Mar. 28. Carla Carpenter, ODJFS OFC Deputy Director and Chair of the Leadership Committee provided federal updates related to the progress of the prevention services clearinghouse. ODJFS staff that co-chair the FFPSA Subcommittees provided updates related to QRTP, Prevention Services, Kinship/Adoption Navigator program, Family-Based Care, and Communications. 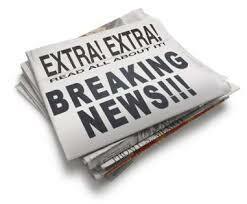 The FFPSA Leadership Committee will meet in person next on Apr. 18. To follow the work of the Leadership Committee and the various Subcommittees, click here . Rules in Pre-Clearance: As of March 29, no children services-related rules were in pre-clearance. A procedure letter clarifying OAC 5101:2-42-05, “Selection of a Placement Setting,” is in Clearance until April 1. The letter clarifies the procedure when a PCSA or PCPA finds a non-custodial parent to be an appropriate placement for a child. A new rule, 5101:9-9-26, “Safeguarding federal tax information (FTI),” has been placed back into clearance until April 9. This rule is intended to ensure compliance with IRS Publication 1075, Tax Information Security Guidelines for Federal, State and Local Agencies: Safeguards for Protecting Federal and Tax Information. This rule was originally posted in Clearance in January and received many questions and comments. As a result, ODJFS has made revisions and re-posted in Clearance. Filed with JCARR: As of March 29, no additional children services-related rules have been filed. Governor Mike DeWine reiterated his support for increased children services investments at the Ohio Children’s Trust Fund’s kickoff event for Child Abuse and Neglect Prevention Month March 25. Sen. Stephanie Kunze, who chairs OCTF; past chair Rep. Sarah LaTourette; and Executive Director Lindsay Williams announced award winners of the #EverydayOhioHeroes awards, including several from the children services system, and winners of the annual youth art contest. Events and commemorations will continue throughout April. Learn more about the Trust Fund . Judge rules that Disability Rights Ohio has authority to investigate Buckeye Ranch .... Disability Rights Ohiofiled a lawsuit against the Grove City nonprofit ... from county children services agencies before interviewing foster youth. The two-year budget proposed by Gov. Mike DeWine is encouraging in the priority it gives to Ohio's future - the millions of children who need help to grow up safe, healthy and prepared for good jobs. Giving $74 million more each year to county children services agencies could and should go to help ease the crushing caseloads that leave child welfare caseworkers and investigators, especially in Ohio's poorest counties, overwhelmed to the point of PTSD. OCJS reports that the study identified 1,032 juvenile human trafficking victims between 2014 and 2016, and researchers identified 4,209 youth who were at-risk for trafficking victimization. Report: Estimating the Prevalence of Human Trafficking in Ohio. Also: UC provides road map to combat human trafficking. Gov. Mike DeWine has proposed doubling the state’s investment in Ohio’s children services and foster care system in the next state budget. This is unprecedented in state history and will literally help save children’s lives.